Below is an article from the New York Times found and suggested by Brad B., a pre-eminent language expert and a Dialect regular. 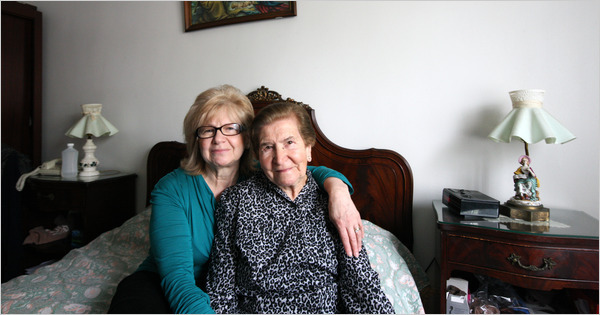 Valnea Smilovic, 59, left, with her mother, 92, in Queens. They still speak Vlashki, a language spoken by the Istrians. 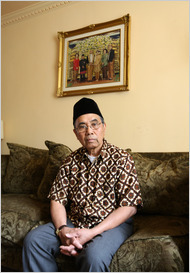 Husni Husain, 67, says he doesn’t know of any other person in New York who speaks Mamuju, an Austronesian language. Pre-eminent, well now I’m blushing. I found the part about it being almost more common for some of these languages to be spoken in NYC then in their home regions truly fascinating. Jimmy, that’s great to hear. What can you tell us here? Anything you know would be great additions to Dialect readers’ knowledge of Vlashki. For me, I know nothing so tid bits are welcome. What a great article though. If anyone is interested, an individual named Kee How left a comment on one of the Intro sections of the The Dialect. They said that they are collecting words for a dictionary of Penang dialects (Malay/Chinese?) which is in need of such preservation. Kee How’s website is located on the LINKS sidebar. I enjoyed the post, it’s really good, very useful 😀 Thank you. i just started watching the Sopranos. The two women in the photo at the top look to me like what the real-life Carmella Soprano and the mother probably look like. Really fascinating! Good work dialect!